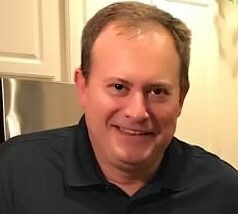 Brian R. Cetera, age 51, of Downingtown, PA, passed away on Monday, April 8, 2019. Brian was born in Roxborough, PA and then moved Downingtown, PA where he spent the remainder of his childhood and teenage years. He graduated from Downingtown HS. Continuing his education, Brian was a proud Penn State University graduate, and graduated with a Bachelor’s in Science, and the honorary title of forever “bleeding blue and white”. For the past few years, Brian worked as a Business Development Manager. For his more informal, but just as important title, he was considered the “Unofficial Mayor of Downingtown.” Brian was known as a hysterical storyteller, with a great sense of humor. He had the ability to walk into a quiet room, and leave people in stitches with roaring laughter minutes later. Amongst his witty humor, he had vast knowledge and love of history, and always had the music of the 80s playing. His true pride and joy was his family. There was nothing he enjoyed more than spending time with his children, and cheering them on from the sidelines during sport activities ( you always knew when he was there). He will forever have the best seat on the sidelines/bleachers, and will never miss any game they play. Brian is survived by his wife and best friend Karen Cetera, whom together would have celebrated their 20th wedding anniversary in September, daughter Mackenzie Grace Cetera and son Brady Joseph Cetera, parents Francis and Carol Cetera, 2 siblings; Kimberly (Michael) Kolinsky and Keith (Hillary) Cetera, and son-in-law to Harvey and Ruth Knauer, and countless extended family members, friends, and his four legged buddy, Utley. Relatives and friends are invited to celebrate Brian’s life on, Monday, April 15, 2019, at St. Joseph Church, 332 Manor Ave, Downingtown, PA 19335, where family and friends will be received from 9:45am-11:45am, followed by a funeral liturgy at 12pm. Interment is private. In lieu of flowers, it is encouraged to continue Brian's legacy and donate in his honor towards Mackenzie and Brady's future. Please visit www.UGift529.com . Please follow instructions on the portal, with the given code for Mackenzie Grace Cetera as " 403-Q5M " and for Brady Joseph Cetera as " 228-67R " .